A long time ago I do not write in the forum, due to my work and lack of interest of GM for AM. I see that everything stays the same and no news from GM, it's a shame. I write because I want to say I'm not going to develop more games with AM, has been a difficult but necessary decision. I wanted to do more professional games and for now with AM is impossible. Do not want to wait for an update (I got tired of waiting), so I decided to search for another engine. At the end I decided on Unity 3D. Now Luminy Studios has another member (in the area of programming) and we are developing Bloodwood Remake. The project is in alpha state but soon we'll show images and news about the project status, below I leave some links where you can find info soon. I also want to thank to this great community, in particular Shadowhunter, reneuend, Candle, Mystery, Vengeance66 and other old members. I still think AM is a great engine and could go far, also has the best community I've never seen, really. Well, that's it, occasionally return to the forum to stay informed. Thank you all and see you. PS: MERRY CHRISTMAS AND HAPPY NEW YEAR !! Last edited by Vairon on Thu May 28, 2015 9:27 pm, edited 5 times in total. Wow... I'm shocked! Didn't knew that was coming. But, I agree with you (for the updates). 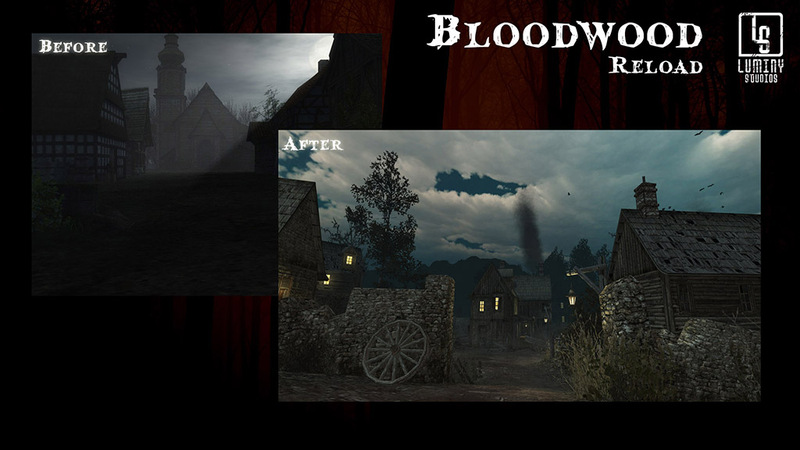 Bloodwood Reload is the updated version of an old project that was first released in 2008. It’s a first-person mystery game with an original story about the secrets to be found within a small village located in central Europe, where time appears to be trapped in the 18th century. Focusing on exploration, discovery and an interaction within the beautiful and dark world of Bloodwood, the game contains no combat action of any kind, and the few scary parts of the game are less about terror and more about creating an atmosphere of a clammy unease. Awesome! Can't wait for it! I want to show a before and after the entrance to the village. As you can see the change is important. The original game (made with AM) had a resolution of 1024x768, now is 1920x1080 full HD. And of course the graphics have been improved significantly, have been remade and created in real time 3D with Unity. Soon more news, stay tuned! Looking great Vairon! Keep up the great work! As V66 says, "It looks awesome!" 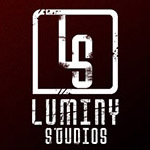 I wish all the best success to you and the Luminy Studios crew. Re: Bloodwood Reload on Greenlight!! The time has come… WE ARE ON STEAM GREENLIGHT!! And now we need your help, you only have click the link below and vote YES, and follow us in that website! If you want to help us but you don't have a Steam account, is very easy to create and you would be doing us a HUGE favour. Thanks in advance for the help and support, this is a very importatn moment for us. Thanks guys, is very important for me. Your new game looks intriguing, good luck! Thanks domozo for your kind words! I understand you, since AM has died almost everyone has gone of this forum. I think the real damage was due to the times the forums have been down, sometimes for months. I still find AM to work nicely as long as you don't mind having Windows as your only platform. However, you can't get the results that Vairon has done with Bloodwood Reload using AM. Re: Bloodwood Reload has been Greenlit!! We are very happy to announce that Bloodwood Reload has been Greenlit! After a short period of time on Greenlight, we have achieved it! Now another stage is opened in the development of Bloodwood Reload, there is still a lot of work but we will soon be announcing the approximate release date of the game. Also we are preparing several articles for the devblog with the making of the game, curiosities, etc. First off thank you for your kind words, I really appreciate it. I just want to say that the development is going very well and very fast (now we are 4 members, the Fantastic 4!). Finally we see the light at the end of the tunnel! After a lot of problems of all kinds and that I will not list because I would need three days (no exaggeration) we have final release date: October 31 . Despite our best efforts it is possible that you can still find some minor bugs but does not interfere with the normal development of the game. We decided not to waste any more time because we started from November a new, more ambitious project and therefore we must settle this now. Stay tuned on our social networks because during the week we will be giving more details about the day "D". We will not tire of thanking you all for your support and we can only hope you have fun playing Bloodwood Reload, if only a little . Can't wait to see your game!